A transformer is an electrical device that converts one AC voltage to another, for example from 220 V to 12 V. is step down transformer. The simplest transformer consists of a magnetic core and a wound on it windings: primary and secondary. 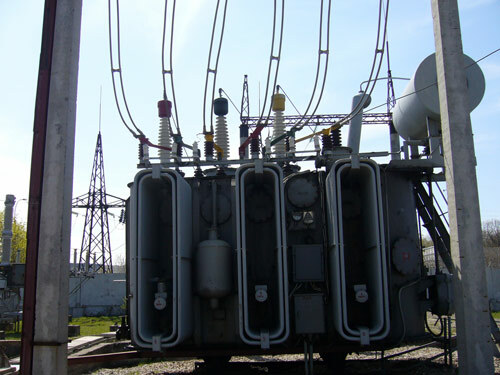 The primary winding is supplied an alternating voltage, for example 220 volts from the mains, while the secondary coil through inductive coupling creates a different AC voltage. Output voltage depends on the difference of turns of the primary and secondary windings. Next, calculate the number of turns for one volt. For the W-shaped transformer is the formula:=50/S=50/4=12.5 turns per volt. Then, calculate the number of turns of the primary winding: W1=U1*K=220*12,5=2750 turns. And the number of turns of the secondary winding is: W2=U2*K=12*12,5=150 turns. After that, determine the current in the primary winding: i1=(1,1*P2)/U1=(1,1*6)/220=30mA. And then will be able to calculate the diameter of the wire of the primary winding without insulation. The fact that the maximum current for copper wire is 5 ampere per square millimeter, therefore: d1=5A/(1/i1)=5A/(1/0,03 A)=0.15 mm. And last, calculate the diameter of the wire of the secondary winding according to the formula d2=0,025*the square root of i2, the i2 value in this formula, substitute in milliamperes: d2=0,025*22,4=0,56 mm. Measure the wire diameter on the other hand, it is possible and without the use of precision measuring instruments. Wrap tightly measured the wire on a pencil, measure one inch of the winding and dividing it by the number of turns you will get the diameter of the wire.